The Marvel Cinematic Universe is proof of just how much potential crossovers have, while 2016’s Batman v Superman will also launch a shared world with movies revolving around the members of the Justice League. Back on the Marvel side of things, a near bankruptcy in the 90’s means that the Disney owned company don’t hold the movie rights to a number of their most famous superheroes. As of right now, that list includes Spider-Man, the Fantastic Four, the X-Men, and all of their respective villains and supporting characters. Here are just 10 we’d most like to see. This one has been making a lot of headlines recently, and it’s not surprising to see why. Sony have dropped the ball with Spider-Man and now fans believe that the only ones capable of saving this beloved character are Kevin Feige and Marvel Studios. 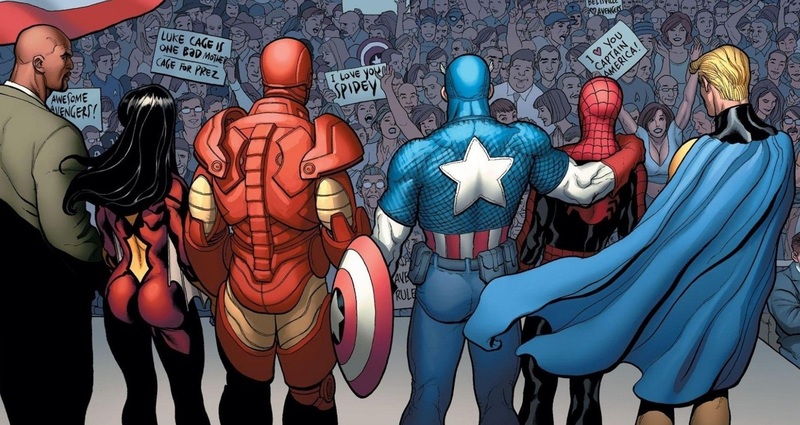 It’s strange in some ways as Spidey never really had much of a relationship with Earth’s Mightiest Heroes and only in recent years has Peter Parker become an important member of the team. The announcement of Captain America: Civil War (a comic book which Spider-Man plays a huge role in) has made fans even more desperate to see this crossover happen, but we don’t think it will happen until Avengers: Infinity War. Of course, there’s a chance the franchises will never mix due to the fact that Sony may not be willing to play ball with Marvel Studios. For now, fans can only hope and dream. Sacha Baron Cohen finally boards a comic book movie as…Mandrake the Magician? !